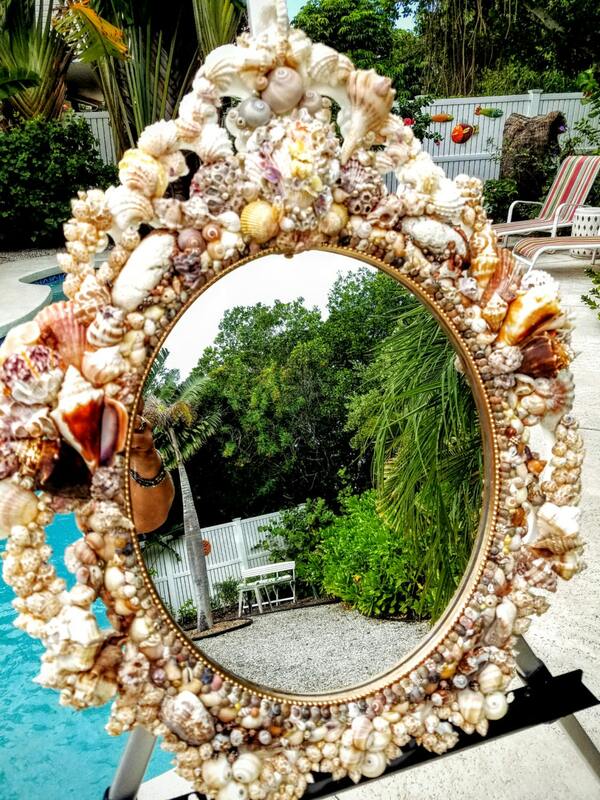 Stately, Baroque Large Seashell Mirror: "The First Knight"
"The First Knight" is an explosion of jewels of the ocean, brilliantly displayed on a large, baroque, seashell encrusted oval mirror. 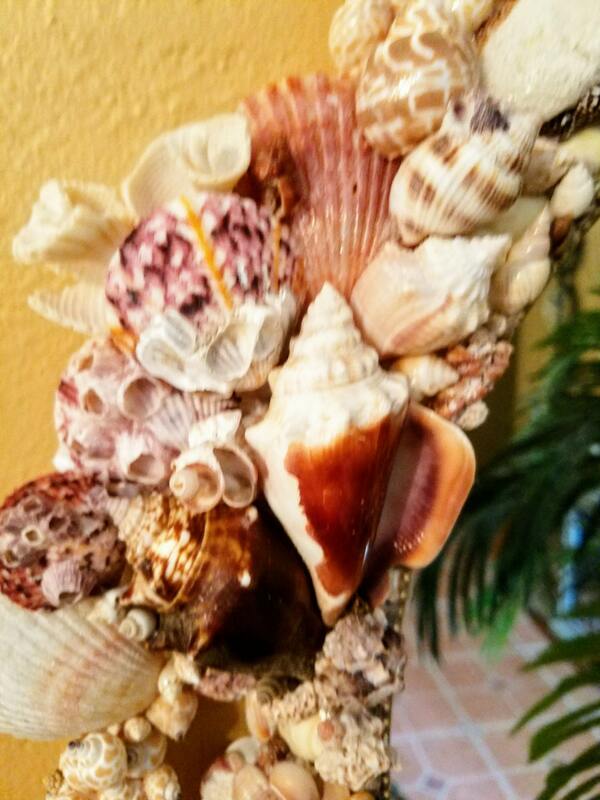 A masterful blend of seashells; from the unusual, peculiar and anciently weathered, to the shiny perfect, married together in a blissful display of fine art; befitting it's namesake, enchanted island beach. 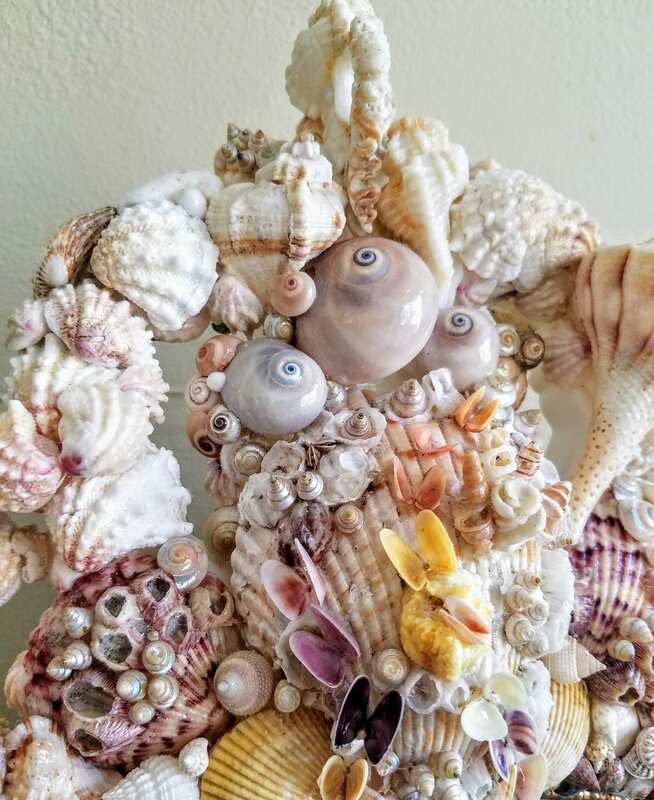 Bouquets of Whelks, Murex and seashell flower spikes, adorn about like carefully placed booteniers on a well appointed tuxedo. 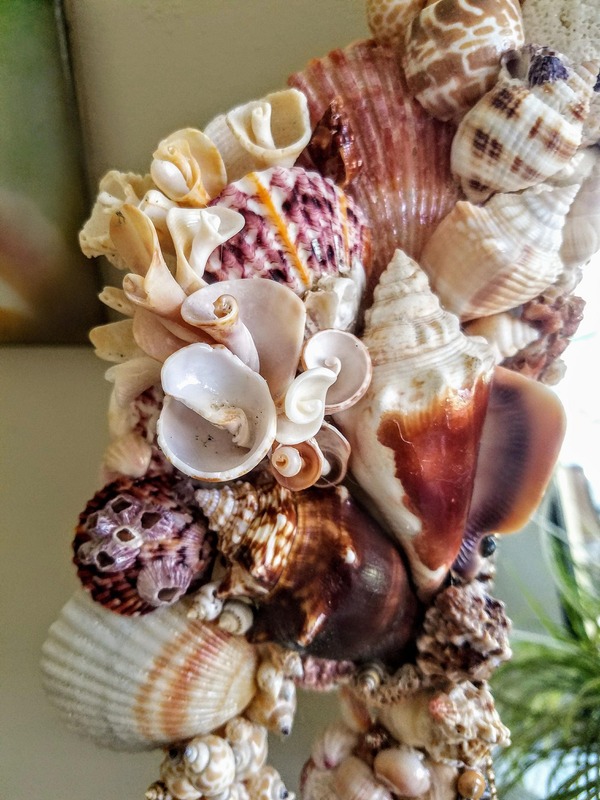 Dollops of sweet Jewel Boxes, Shark's Eyes and Olive Shells provide added interest to this amazing, 3 dimensional, garden tour of the sea. 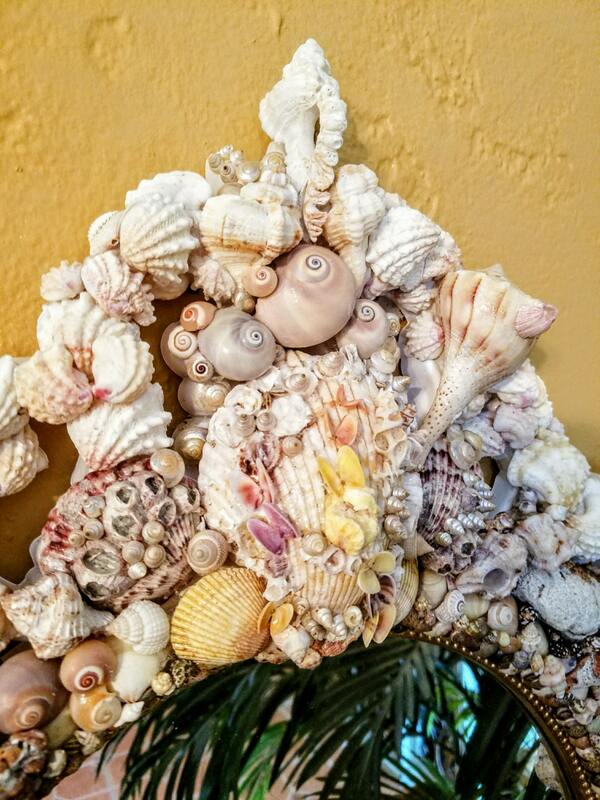 Atop, a large Cockle Scallop, naturally encrusted with dozens of barnacle "buds", serve as the perfect landing for a butterfly garden comprised of brightly colored Coquinas. 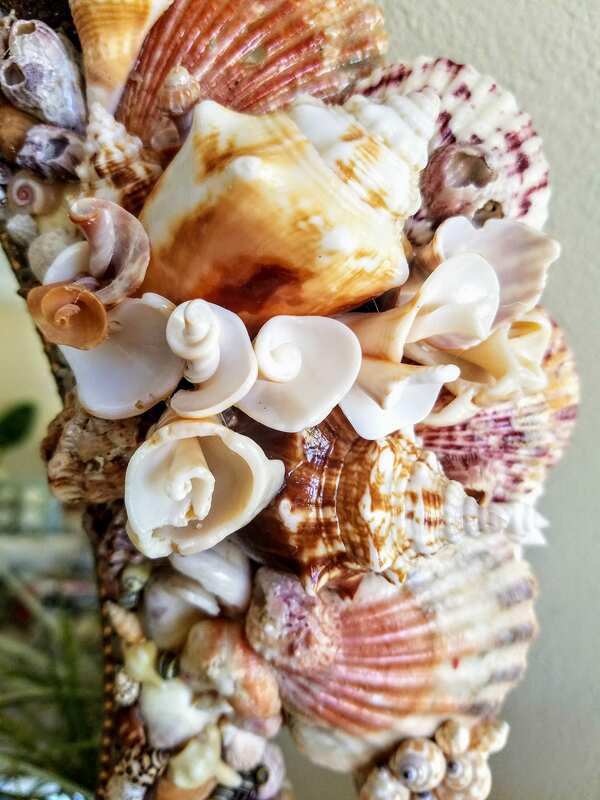 Making "The First Knight" your own, is your life time ticket to a garden tour of the sea; and, an extraordinary piece of fine and functional seashell art. Befitting in the grandest of coastal estates and yachts to cozy beach house bungalows and villas, "The First Knight" will surely command the last words; of whimsey, delight, amazement and praise! Dimensions: 26" x 22" x 4". Professional mounting recommended but not required. 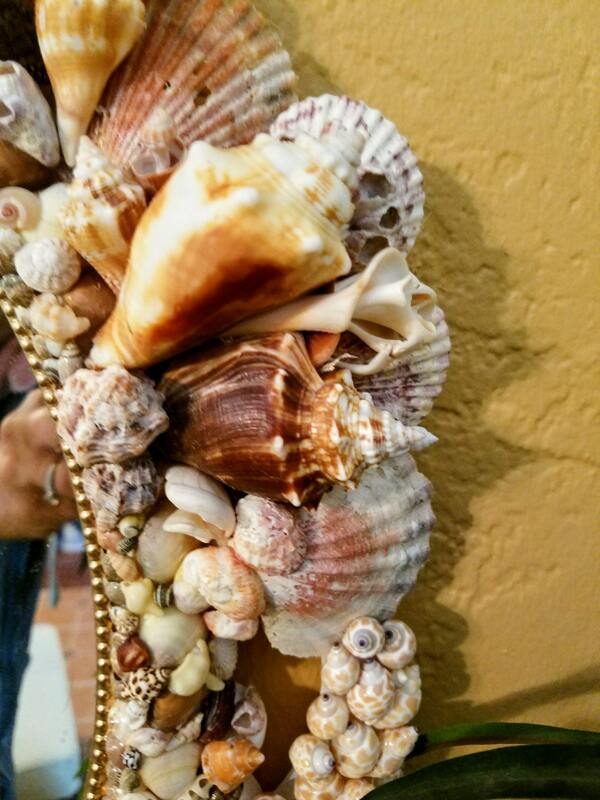 Must mount into a studded wall. Openings for studs built into sturdy, resin base. 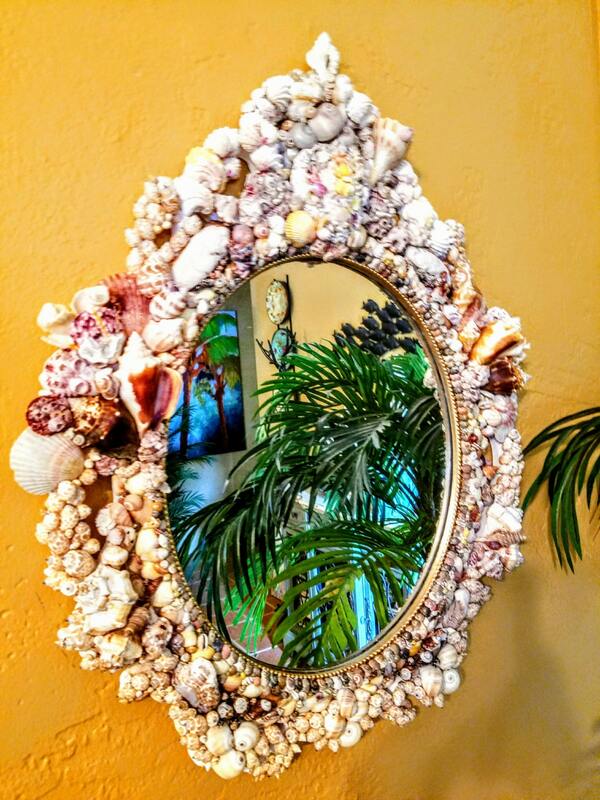 Please note: shipping these large, mirrors require extra time, effort and expense to ensure safe delivery. Please message me with any questions or concerns, and I will gladly work with you through the process and negotiate reasonable means to and end. "The First Knight" is available for immediate delivery.